Silversands Casino has a huge variety of slots including Progressive Jackpot versions. Some of the progressive jackpots offered are in the millions so we have decided to take a closer look at the Progressive Jackpot version of Aztec’s Millions slots where, at the time of writing, the jackpot was over R13 million. 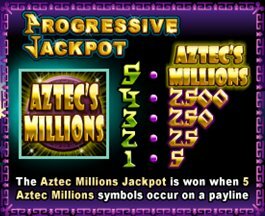 The video below shows the Progressive Jackpot version of the popular Aztec’s Millions. When you play the progressive version line bets are fixed. 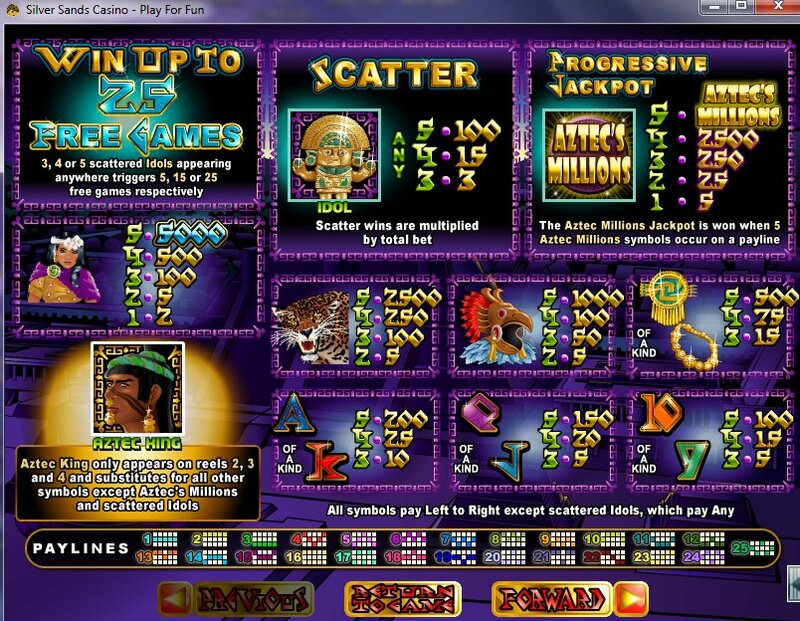 The regular version of Aztec’s Millions allows you to change your line bets. What’s so fun about this slots game is the free spins. During your free spins it is easy to get more free spins (you will notice this in the video above). You can win up to 25 free games. 3, 4 or 5 scattered idols appearing anywhere triggers, 5, 15 or 25 free games respectively. Scatter wins are multiplied by total bet. 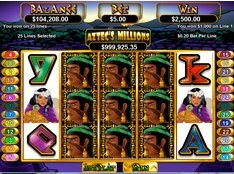 The Aztec Millions jackpot is won when Aztec Millions symbols occur on a payline. Aztec King only appears on reels 2,3 and 4 and substitutes for all other symbols except Aztec’s Millions and scattered idols. All symbols pay left to right except scattered idols which pay Any. 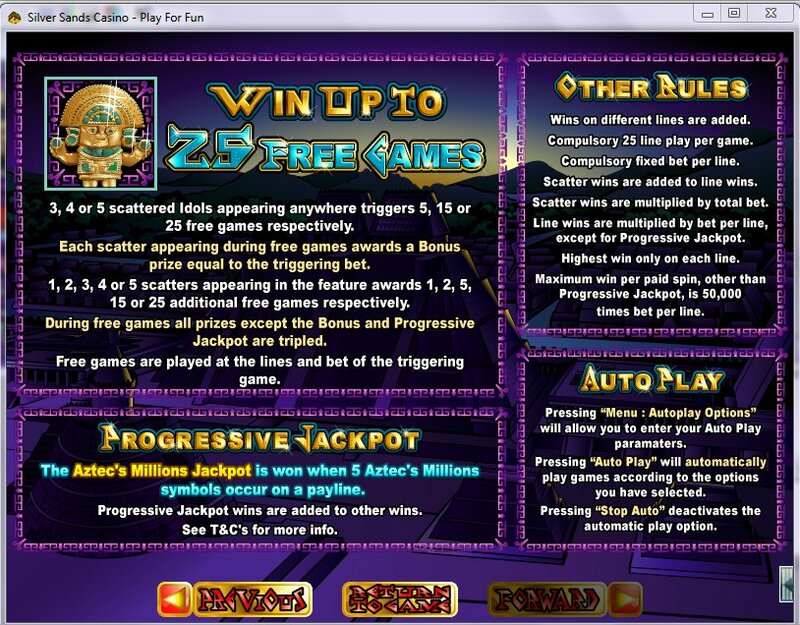 You can benefit from even more free games during free game as each scatter appearing during free games awards a bonus prize equal to the triggering bet. Free games are played at the lines and bet of the triggering game.